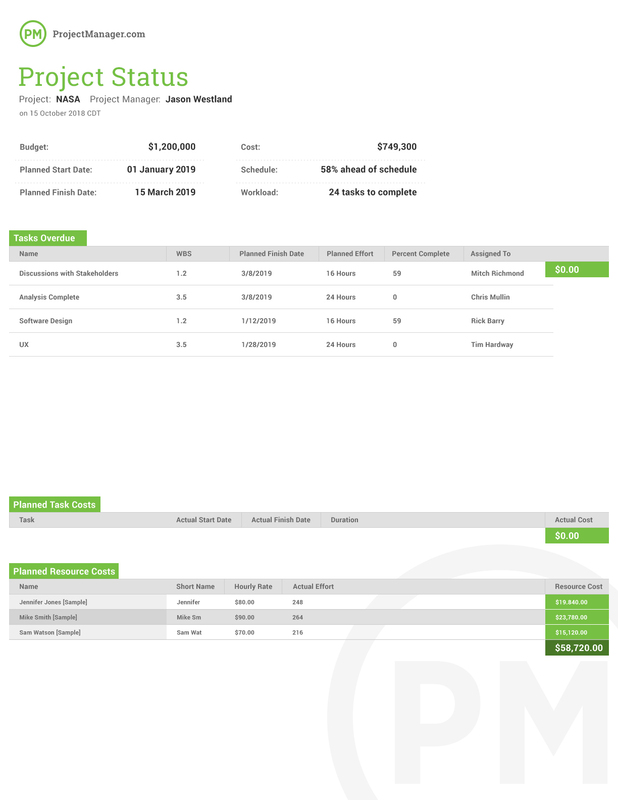 ProjectManager.com gives you the ability to create an accurate budget, then monitor project costs and resource rates, with one easy-to-use tool. 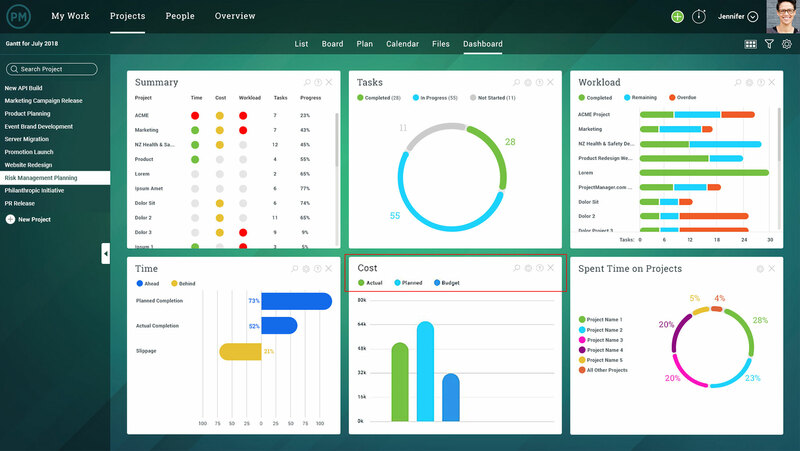 Get more control, data and visibility for your projects and your budgets with ProjectManager.com. Whether you’re a numbers person or not, as a manager, ownership of a budget is usually a key part of your job responsibilities. It can be a daunting task, and projects can have several different types of costs that all need tracking in order to ensure that everything comes in under budget. All of those moving parts and fluctuating costs can be better tracked with an online project management software like ProjectManager.com. We offer tools that simplify project budgeting and cost management, enabling you to set a baseline, track labor rates and add new costs on a task level. With these features, you can simply update and add items as they arise throughout the project. But before you can manage a budget, you need to learn how to create one with accurate estimates. The key to creating a project budget is to make all the line items easy to track. If you can apply a straightforward process to project expenses, then you can monitor the spending on a project accurately and timely. Follow these simple steps for building a project budget that will set you up for success. The first step in creating a budget is to identify expenses. You need to list every single thing that’s required to bring a project completion. This includes wages for labor, equipment, materials and more. You’ll want to examine your project plan thoroughly and identify expenses on your own to start. Then, your team members might be able to help you recognize certain expenses that you didn’t recognize immediately, so be sure to ask them to look over your expense list when creating a budget. It’s imperative that you list absolutely every expense. The more you identify, the less you’ll be surprised by unforeseen expenditures later in the project. Analogous Estimating: Use past experience to judge how much the project tasks will cost this time. Add up all of the estimates. This gives you the total planned budget for the project covering the cost of every task. Management Reserves: This is a pot of money to use at management’s discretion. Contingency: Contingency costs are useful to cover unforeseen costs due to poor estimating. It’s common practice to add in a contingency of 10% just in case the estimates turn out to be inaccurate. Risk Response Budget: If your company is mature at managing project risk, you might be able to incorporate the risk response budget separately to your main budget. The risk response budget includes funding to implement any risk mitigating actions. Now that you’ve established a project budget and identified expenses, you can enter that information in ProjectManager.com, if you haven’t already. To enter your project budget, simply click on the “Info” tab and enter a figure into the box. For adding project expenses, there are numerous avenues. First, you can go into the expenses tab and add fixed expenses that don’t have hourly rates or fluctuations. For example, you can enter the cost of the material necessary for your project. You can choose to add this as a planned cost at first, and then you can go in later and add another expense as the “actual cost.” This will help you track planned vs actual costs in your dashboard as the project unfolds. Another way to enter expenses into the project is via our resource management tools. Assign your resources, or workforce, hourly rates, then assign them tasks, and as they work their labor cost will be automatically added to the project. You can also add expenses on the task level. Let’s say an unexpected task comes up that wasn’t in your initial plan. That’s OK because you can use your contingency money to cover it. Just add a cost amount to your new task in your project plan, and that new cost will be reflected in your dashboard and reports. Once you’ve identified and recorded the expenses, you have to monitor the actual expenditures compared to the estimates. That means you need to constantly update your project expenses with the amounts you actually spend on the tasks. Since you’ve entered all of your planned expenses into the system, you can use our real-time dashboards to track actual vs planned cost. Our project dashboards offer one clear window into the ongoing costs of the project and feature easy-to-read, colorful bar graphs for quick analysis of where your budget stands. This instant view can be vital when managing a project budget, especially a tight one. Without the right tools, project reporting can be a hassle. And by the time you finally produce the report, the numbers have changed and your report is already obsolete. ProjectManager.com can help. Our software can create instant, detailed reports that you can share with relevant people across the organization in the format they prefer. There are a number of reports you can make, but the expenses report will be the most crucial for managing your budget. With an expenses report, you can get in-depth analysis on the total budget, actual expenses and planned expenses, all the way down to the task level. Finally, you’ll want to go back to these reports and make sure they’re on track with your project schedule. If they’re not aligning to your time-frame then you need to look back at your expenses and double-check that you’ve included everything and not left anything out. That brings us to our last step: revise. You may have to revise the estimates you made earlier. Don’t get stuck on keeping them if the project dictates something else. By revising in real time you are making sure that the budget isn’t just numbers on a spreadsheet but an accurate expense forecast for the project. 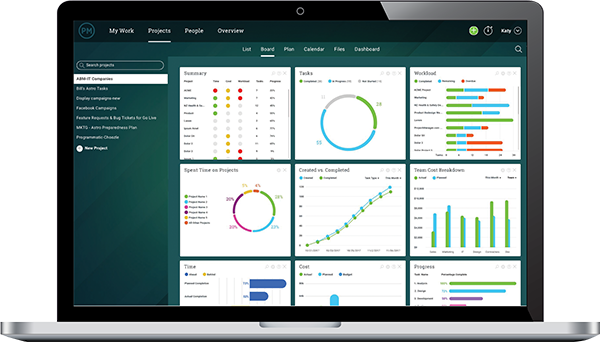 When you consider that you can track your budget with real-time dashboards, input recurring expenses like labor costs, and report on every aspect of the project, it’s clear that ProjectManager.com has what you need to create and manage a project expenses. Complete your next project under budget with this free 30-day trial of our PM software.